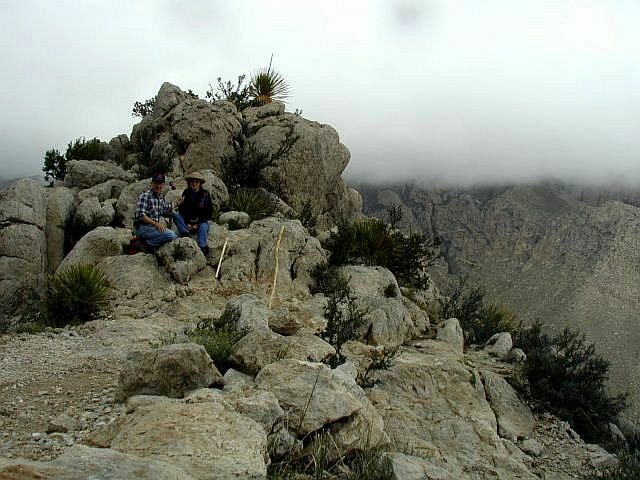 If you want to get away from it all, the Guadalupe Mountains of west Texas are a good place to start. 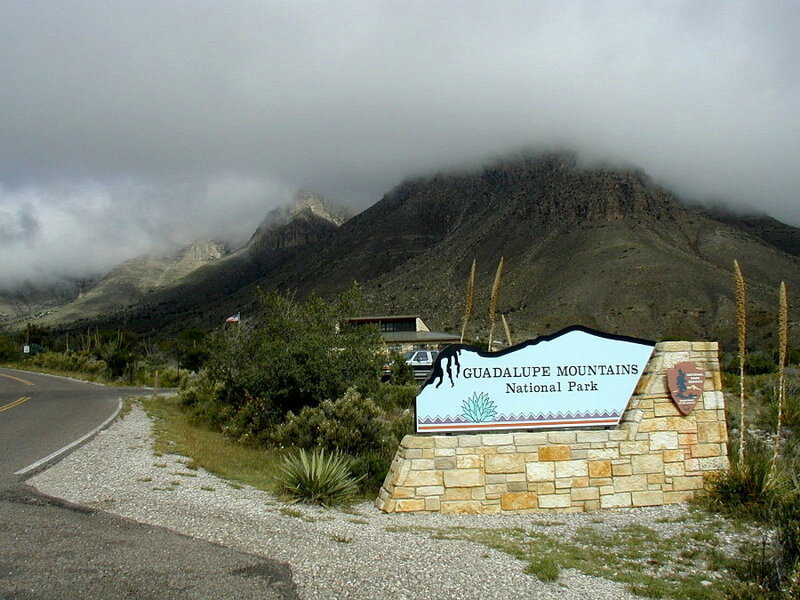 This National Park is home to the "Top of Texas", Guadalupe Peak at 8,749 feet. 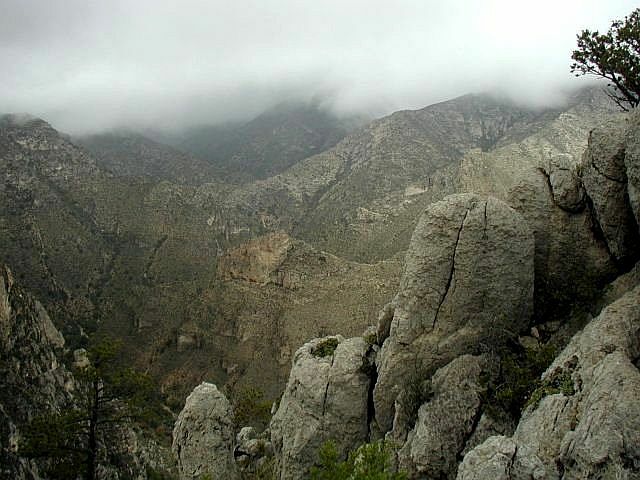 If you have the energy, you can hike to the top, about 3,000 feet above the Pine Springs campground. Views along the trail are spectacular, even if you don't make it to the top. The weather on the mountain is highly unpredictable so you have to be prepared for whatever comes. Round trip, it's 8.4 miles of strenuous exercise to the top. 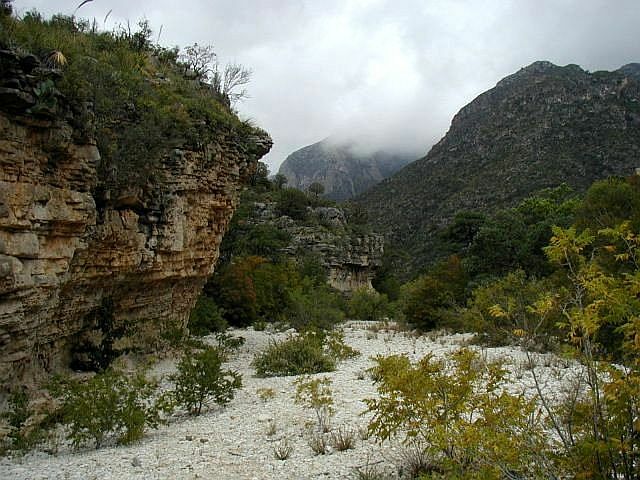 If you don't feel up to that much exercise, the McKittrick Canyon trail is a moderate 4.8-miles through a beautiful canyon. If you are not a hiker, it won't take long to see what can be seen easily. If you enjoy hiking, there are over 80 miles of trails to choose from, with back country campgrounds along the way. When the National Park Service says that services are limited, they mean it! There are no stores or gasoline within 35 miles of the park, so bring everything you need. We left Richmond Friday, October 3rd, taking IH-10 westward. We spent our first night at River Shade RV Park in Seguin. It was a nice park on the shores of the Guadalupe River. We were interested in all the flowering bushes scattered throughout the park, so we gathered seeds to possibly try them out in our yard back home. Saturday we continued west on IH-10, avoiding San Antonio via Loop 1604. At Junction, we spent the night at Pecan Valley RV Park. This is a small park on the N. Llano River, in the country next to a large pecan orchard. Wildlife, especially deer, were plentiful. It was a nice peaceful place to stay. Sunday we continued west on IH-10 and spent the night at Balmorhea State Park near the town of Balmorhea. 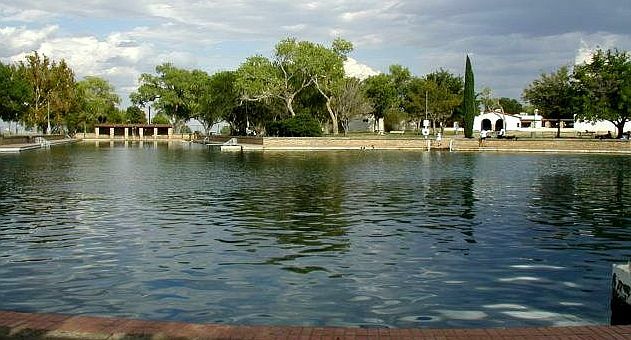 This beautiful park is located near the base of the Davis Mountains. The main attraction inside the park is the 3.5 million gallon spring-fed swimming pool. The pool is fed by the San Solomon Spring, which can fill the pool in about 4 hours. 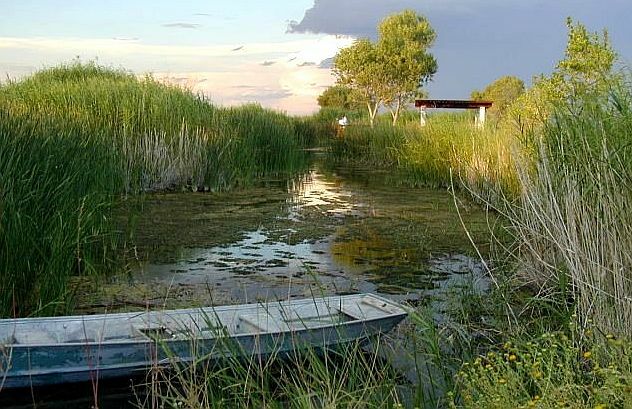 Water flowing out of the pool forms a unique desert wetland, with interesting wildlife viewable from the observation platform. Monday morning we left Balmorhea via TX-17 north, to Pecos. 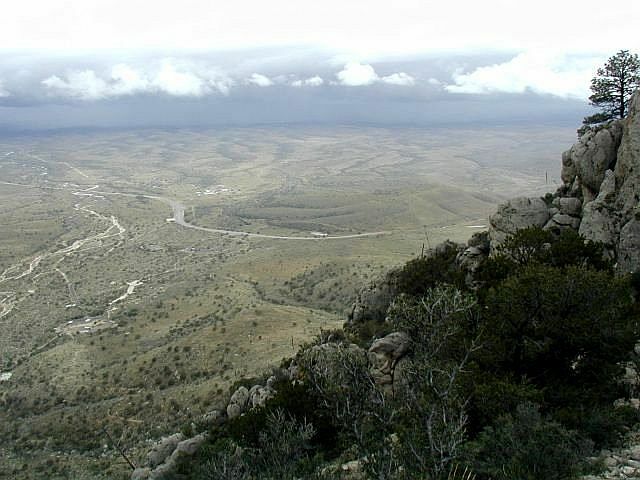 From Pecos we took US-285 to Orla, then TX-652 and US-62/180 into the Guadalupe Mts. 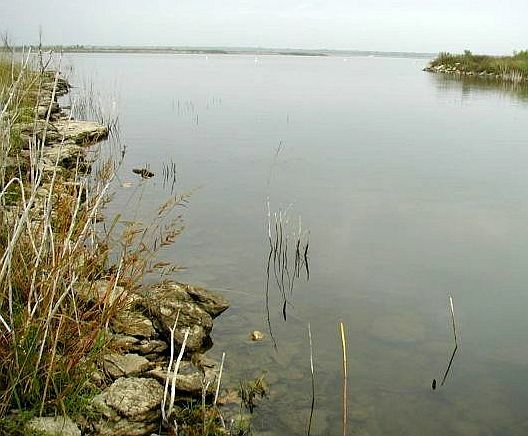 National Park. We stayed in the Pine Springs campground, dry camping for three nights. The weather was nice Monday afternoon and we went to the visitor's center, viewed their nature display and picked up information to plan our next few days of hiking. That night we got a rude welcome from the surrounding mountains. About 8PM a violent electrical storm come from nowhere over the mountains and pelted us with heavy rain, hail and lightening. After about an hour it appeared to be over. Then we got round 2, a little worse, it lasted about an hour. It appeared to be over again, then round 3 descended upon us. This was the worst of all, with the biggest hail. After about an hour of that, it finally quit around 12PM and we got some sleep. The next morning we saw large rocks that were washed down the mountain into the campground. Most of the tent campers left during one of the lulls in the storms. Thankfully, our trailer kept us dry, and we made it through the night without any damage. 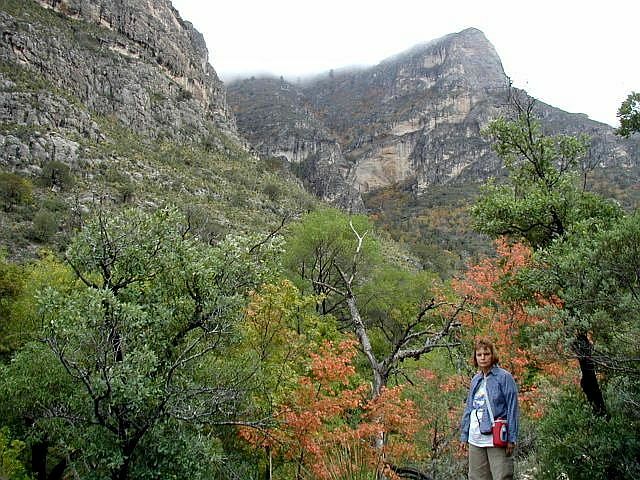 We decided to delay our assault on the Peak Trail until we were a little more accustomed to the 5,700-foot altitude, so Tuesday morning we drove about 7 miles to McKittrick Canyon for a day of hiking. 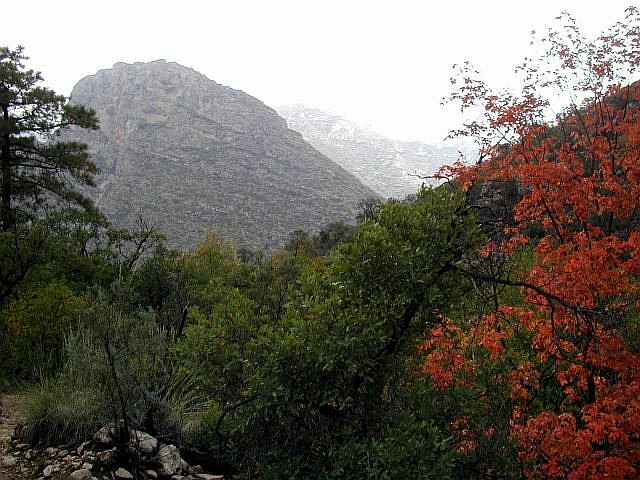 The trail runs through a beautiful tree-lined canyon close to a clear mountain stream. The trail goes past Pratt Cabin, the Grotto and Hunter Line Shack. The round trip distance is 4.8 miles and the trail is rated "moderate". We hiked to the Hunter Line Shack and ate our picnic lunch, then hiked back out. We were a little early in the season for good fall colors, but a few of the trees had started to turn. 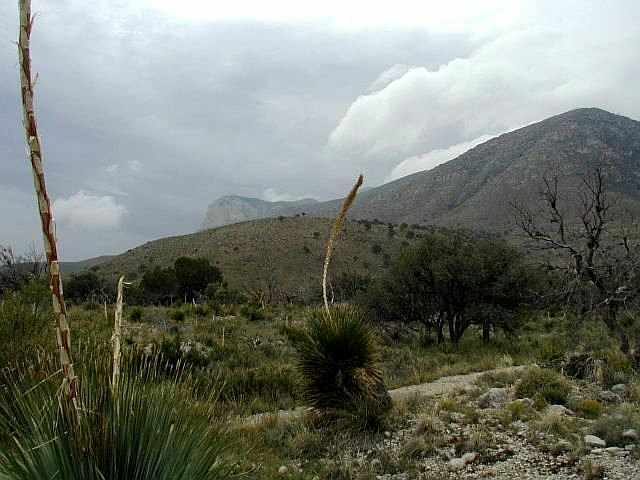 Wednesday, we decided to tackle the Guadalupe Peak Trail. The weather didn't look too promising, but we decided to go as far as we felt comfortable, then eat our lunch and come back down. The clouds kept stalking us as we went up the steep trail (rated "strenuous"). At a little over 7,000 feet it became apparent that the weather was not cooperating and that we wouldn't be able to see anything at the peak, so we decided to stop and eat lunch. We also discovered that we could have used a little more preparation for the altitude and steepness of the trail. The views were well worth the effort, however. The round trip distance to the peak is 8.4 miles - not a minor undertaking. Our short stay in the mountains came to an end on Thursday. 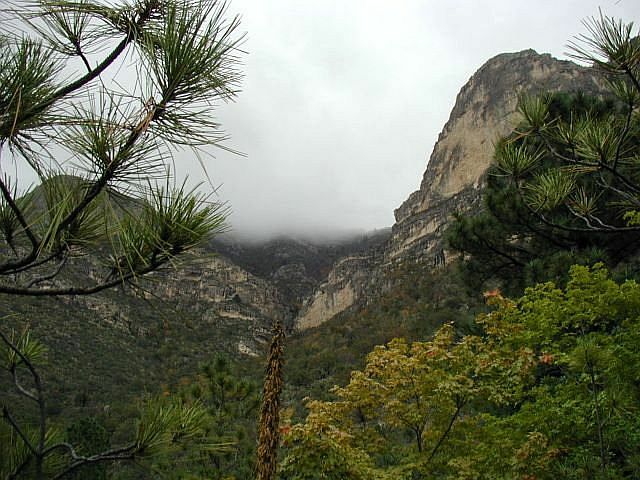 After hiking on a couple of the nature loop trails at the Headquarters visitor's center and the McKittrick Canyon visitor's center, we departed. Retracing our trail back to Pecos, we went east on IH-20 to Monahans Sandhills State Park. In route, we stopped off in Barstow, just east of Pecos to do some genealogy detective work. The Barstow traffic on a Thursday afternoon was a contrast to Houston. 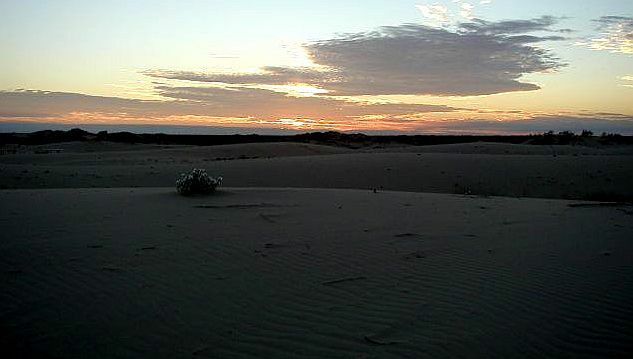 Monahans Sandhills State Park consists of 3840 acres of sand dunes, some up to 70 feet high. There's plenty of beach but not much water. 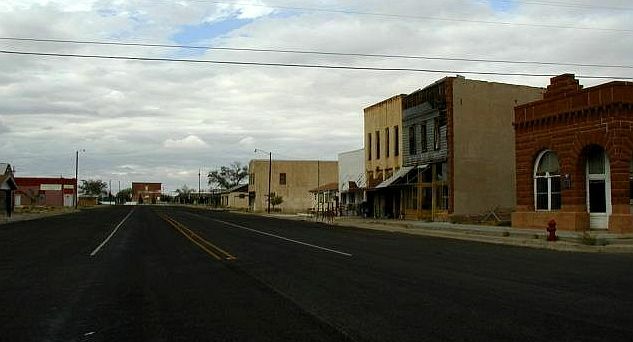 Downtown Barstow at rush hour! < Monahans Sandhills State Park. Friday morning we continued east on IH-20 to Odessa, where we visited friends, then on to Stanton to visit relatives. Sunday we headed southeast on TX-33, TX-158 & US-87 to Brady. We camped at Brady Lake Park Sunday night. Monday October 13th, we made our way back home to Richmond, TX. 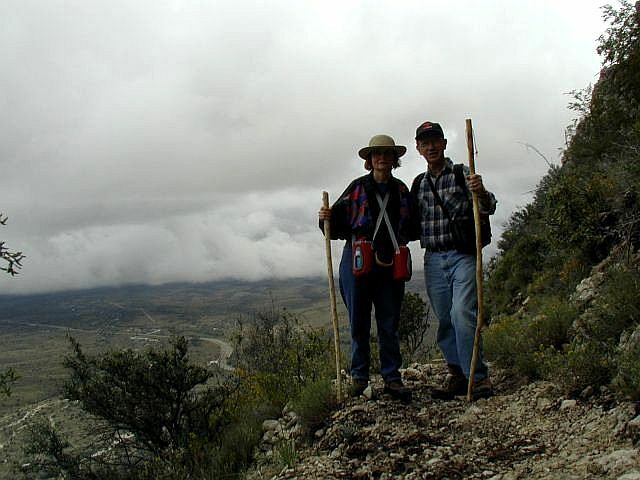 This draws to a close our Guadalupe Mountains and west Texas RV trip. We hope you enjoyed the pictures and brief descriptions of our activities. God willing, join us again for another RV adventure soon.